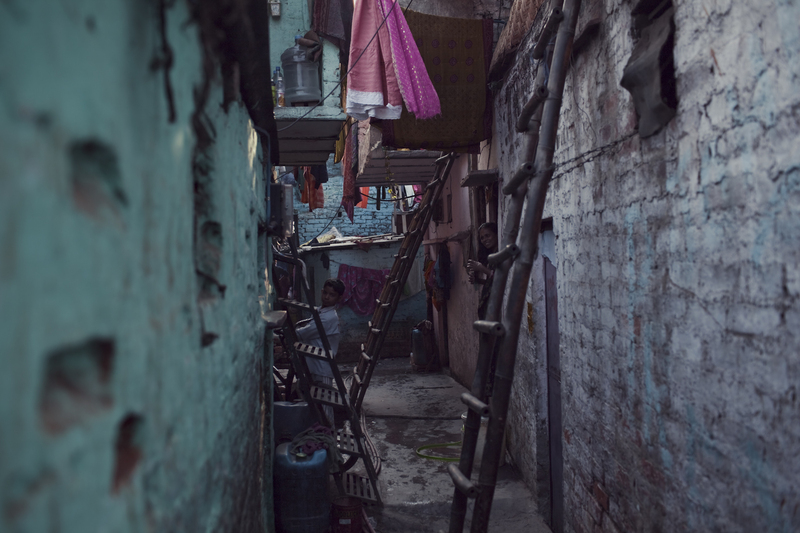 A feature-length documentary about the last days of Kathputli: a handmade artist colony hidden away in the alleys of New Delhi. Spanning three years, the film follows Puran the Puppeteer, Rahman the Magician, and Maya the Acrobat as they approach their looming eviction. The residents cannot imagine that their art — so intrinsically tied to street life — will blossom in the high-rise flats where they will be resettled. The community that emerged here over decades, and whose art became an Indian national treasure, is threatened with extinction. Jimmy Goldblum began his career as an interactive director and producer. In 2008, Goldblum won the Emmy for "New Approaches to Documentary" for Live Hope Love, an interactive documentary he produced for the Pulitzer Center. Goldblum also wrote, filmed, and produced “The Institute for Human Continuity”, an online narrative for Sony Pictures’ film 2012, which is widely considered one of the most successful transmedia campaigns of all time. Additionally, CNN called his first interactive documentary, “Yearbook 2006”, “so special…the best of the best” of all Hurricane Katrina documentaries. Goldblum's projects have won an Emmy, a Webby for Best Art Project, and have been featured in the New York Times, Washington Post, Time Magazine, and USA Today. Weber is an editor, director, and writer who has worked for major film and television studios in New York and Los Angeles. He edited Michel Gondry’s Is the Man Who Is Tall Happy (IFC Films), an animated documentary about Noam Chomsky, which IndieWire named one of the top three documentaries of 2013. Weber was an assistant editor on Gondry’s The Green Hornet, and previously worked as the apprentice editor on Quentin Tarantino’s Inglorious Basterds.